GN: “With such a full calendar, how do you avoid injuries? Rajiv: “Yeah you’re very rarely 100% fit but that’s just the nature of our sport I think. It’s pretty (much) all year around. Like you’re travelling a lot. For me I was travelling over New Year. I flew out on the twenty sixth of December and only got back on the twentieth of Jan. For me, because I’m slightly older so I can be a bit more selective in what I’m doing.”. kinda know how to manage my body. I know what I need to do or what I don’t need to do. I’ve kinda learnt that over the last couple of years when I did get a couple of niggles and I got quite tired and stuff like that. development plan, not just in terms of developing ones technique, but in terms of planning out an itinerary of tournaments that will best support a player’s future progress. seen an element of the funding stream reinstated SF “With so much touring and expenditure, where can you get the financial support? Badminton England providing support for training, most players will have to tap into other sources of income to keep them in the sport they obviously love. This is not a road to riches so, whilst it may seem nice to be able to travel to exotic places, the reality of the situation is that it requires a great deal of dedication and hard work. one of them sports that you don’t need to be a set size or certain shape. A lot of the current players have had familial influences that have led to where they are now. In Chloe’s case, here entrance into the sport was from playing in church halls; Ben’s aunt was ranked 19 in the world at badminton, and others talk about how older siblings would rope them into a game. All the team are looking forward to the YONEX All England Championships that will take place in Birmingham between the 6th and 10th March. 10th ranked Mixed Doubles couple, the Adcocks, face the rapidly developing prospect, 18-year-old Satwiksairaj Rankireddy and his more experienced partner Ashwini Ponnappa. Dare either pair look beyond this match they’ll be frightened by the prospect of Chinese first seeds Zheng Siwei and Huang Yaqiong in the last 16. The World Champions knocked Chris and Gabby Adcock out of the Danish Open in the quarter-finals just last week. Siwei and Yaqiong will first have to conquer the other Indian pair (Kapoor/Garg). Marcus Ellis and Lauren Smith, on paper, have a slightly easier draw than the first round of the Danish Open last week where they lost to Chinese second seeds Wang and Huang. Debby Susanto and Ricky Karandasuwardi will not be easy opponents though, the Indonesians are currently ranked six places higher than the English pair in the world standings. Raj Ouseph plays only his second competitive match as a father this week. Zachary Ouseph was born on Friday 28th September at 4:14am. Fresh after weeks of sleepless nights Ouseph senior has the hard task of playing Daren Liew in the first round. The Malaysian beat Ouseph in all three previous meetings, between 2012-14, without dropping a set. Having stormed to the semi-finals in Odense last week, Marcus Ellis and Chris Langridge face a first meeting with Bodin Isara and Maneepong Jongjit in Paris. Defeating the Thai pair could see the Olympic bronze medallists play Japanese fourth seeds Kamura/Sonoda in the next round. In the Women’s Doubles, Lauren Smith and Chloe Birch have been drawn against unseeded Li Wenmei and Zheng Yu. The two pairs have never met, the victors may have to play Japanese seconds seeds Matsumoto and Takahashi in the Last 16. The formidable duo claimed Japan’s first ever Olympic badminton gold medal in Rio. Badminton England has welcomed news of the Sports Minister’s new Aspiration Fund to help more Olympic and Paralympic sports target Tokyo 2020 – and have confirmed they will prepare a bid for investment to bolster the medal-winning GB Badminton programme. Announced today by Tracey Crouch MP (Minister for Sport and Civil Society), the new £3 million Aspiration Fund is open to Olympic and Paralympic sports outside the UK Sport programme to help more talented athletes compete at Tokyo 2020. Sports must show how funding will grow the sport and inspire the public. Submissions will also need to align with the Government’s Sporting Future strategy: physical well-being, mental well-being, individual development, social and community development and economic development. Despite being the nation’s most played racket sport with over one million people playing monthly and with a track record of capturing hearts and minds through World and Olympic medals, badminton is one of 18 Olympic and Paralympic sports currently not funded by UK Sport for the Tokyo 2020 Olympic and Paralympic cycle. Since learning that it would receive no funding from UK Sport for Tokyo 2020 in December 2016, despite overachieving its medal target at the Rio 2016 Olympic Games just four months earlier, the badminton performance programme has undergone dramatic remodelling but continued to delight fans with World, Commonwealth and European medal winning performances on court. In face of this, all players on the England programme have seen improvements on their world rankings since Rio and is well positioned for the Tokyo 2020 qualification year which starts in May 2019. Badminton England Chief Executive, Adrian Christy, has publicly thanked Sports Minister Tracey Crouch MP for addressing the motivations of the Great British sporting public and has also welcomed the focus on legacy, not just success. “This is fantastic news for those sports that were left unfunded following the Tokyo 2020 investment decisions. “It is a really strong indication that, even when funds are tight, every sport does matter and we now look forward to developing a compelling application to UK Sport to support our players, maximising our qualification chances for 2020. “I would like to thank the Minister for recognising the challenges faced by badminton, and many other sports; the establishment of this fund will help enormously with our collective efforts to make Britain even more proud of our Olympians. This support will enable more athletes from more sports to realise their dreams. England’s Gold Coast medal-winners seeded for the Euros as attentions switch to Spain. 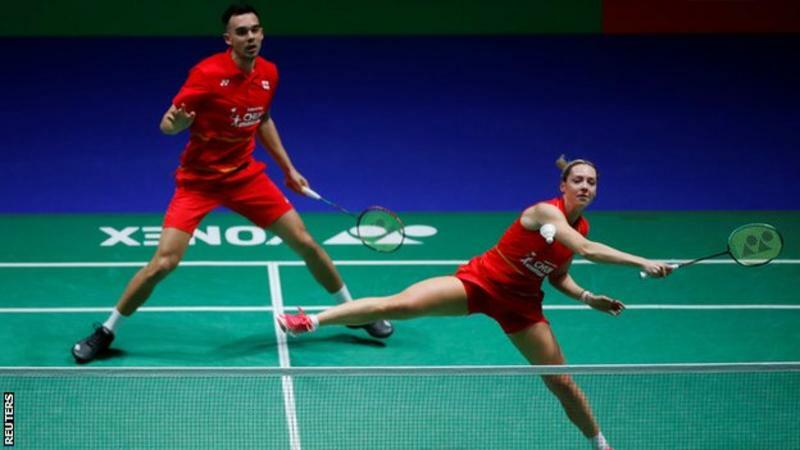 Nine of England’s medal-winning badminton squad from the Commonwealth Games have been seeded for the upcoming 2018 European Championships in Spain – whereRajiv Ouseph and Chris and Gabby Adcock will be defending titles. English badminton won six medals, including two golds, on the Gold Coast – the sport’s best medal haul from a Commonwealth Games since 2002. But such is the intense schedule on the world tour there is no time to look back on a job well done Down Under for England’s badminton stars as attentions immediately turn to European competition, now just 8 days away in Huelva, Spain. Chris and Gabby Adcock, crowned Commonwealth king and queen of Mixed Doubles, have been top seeded as they look to retain the European Mixed Doubles crown won 12 months ago. The Adcocks are joined in the draw by Marcus Ellis and Lauren Smith – the Mixed Doubles silver medallists in Australia – who are seeded three. Ellis won gold, silver and bronze on his Games debut and is paired with Chris Langridge once again as the new Commonwealth Games champions go in search of more glory. The Rio 2016 Olympic bronze medallists are seeded fifth in Men’s Doubles. Reigning European Champion Rajiv Ouseph is third seed for the Men’s Singles event in which World Champion Victor Axelsen is expected to make his return to action following injury. 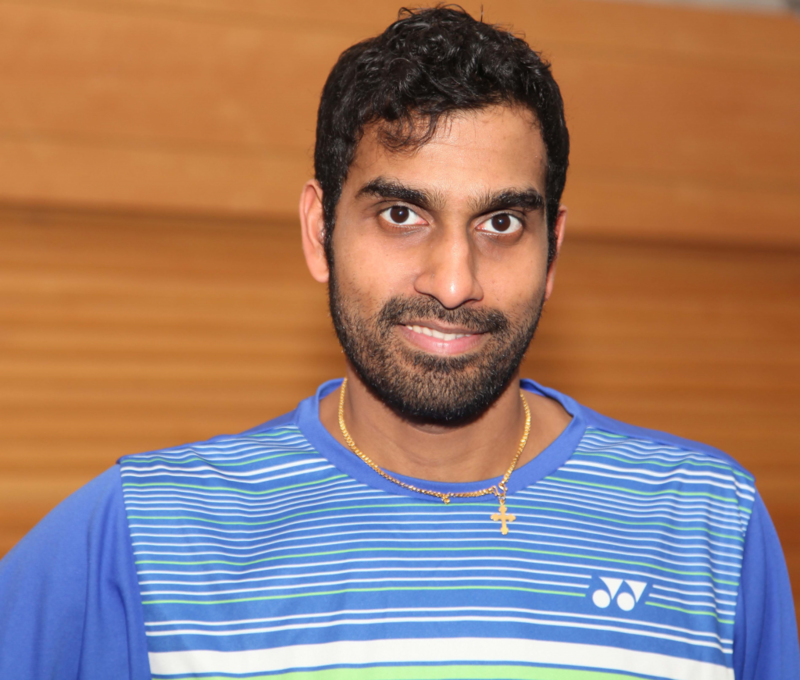 Ouseph played 10 times in 9 days on the Gold Coast, collecting team bronze and a Men’s Singles bronze following a gutsy medal play-off win against India’s HS Prannoy. Like Ouseph, Chloe Birch impressed in Australia with a string of fine performances against higher ranked opponents on her Games debut. Birch will continue to play singles at the Europeans and is also seeded eighth in Women’s Doubles, alongside Jess Pugh. Lauren Smith and Sarah Walker, England’s national champions, are fourth seeded in the Women’s Doubles draw. Smith and Walker added 2018 Commonwealth Games silver on the Gold Coast to the European bronze medal won a year ago in Kolding, Denmark. England will take a 15-strong contingent to Spain’s south coast with Peter Briggs/Tom Wolfenden (MD), Sam Parsons (MS), Toby Penty (MS) and Sean Vendy (MD) joining the 10 whom won team bronze for Team England. Badminton England is pleased that UK Sport has acknowledged another successful medal winning year by choosing to invest £630,000 for the remaining period of the Tokyo 2020 Olympic cycle from the new Medal Support Plan announced today. 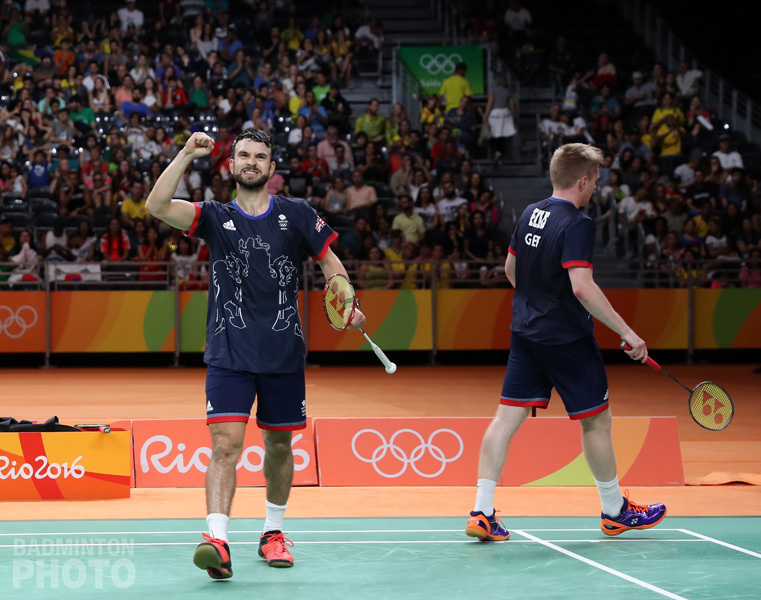 GB Badminton saw every penny of central funding removed by UK Sport in December 2016; a decision that was set against a backdrop of the sport winning Great Britain’s first ever Men’s Doubles medal – a result that exceeded the UK Sport target set for Rio. A year on, English badminton has enjoyed a history-making 12 months at world level, starting with double European gold – a feat that has not been achieved for 29 years – followed by a richly deserved World Championships bronze medal for Chris and Gabby Adcock, who also rose to a career high three in the world rankings. 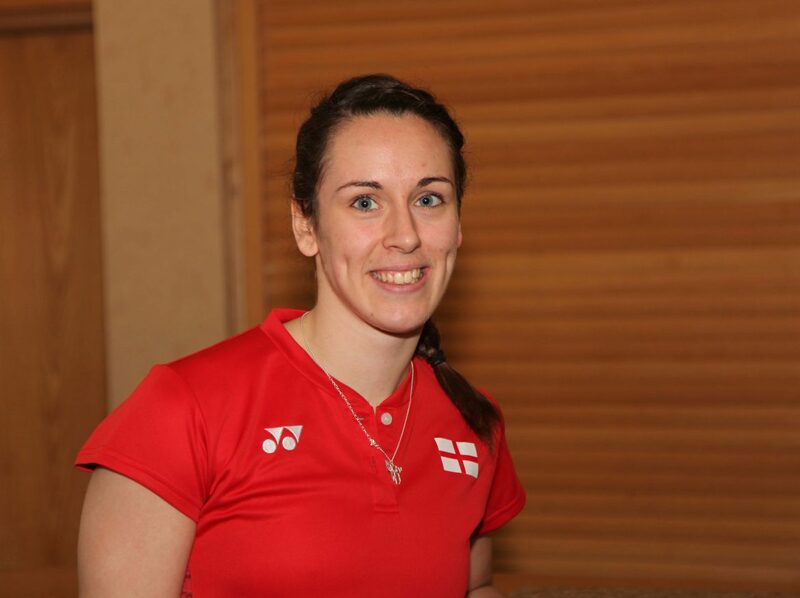 Furthermore, through 2017, all 12 members of the significantly reshaped England Performance squad – and Scottish number one Kirsty Gilmour – have enjoyed significant world ranking increases. Success has continued at junior level right along the talent pathway with a U19 European gold medal the highlight. There was also outstanding news for the GB Para-Badminton programme who have been awarded a funding investment of £960,000 across the same period, UK Sport as we prepare for the sport’s Paralympic debut in Tokyo. 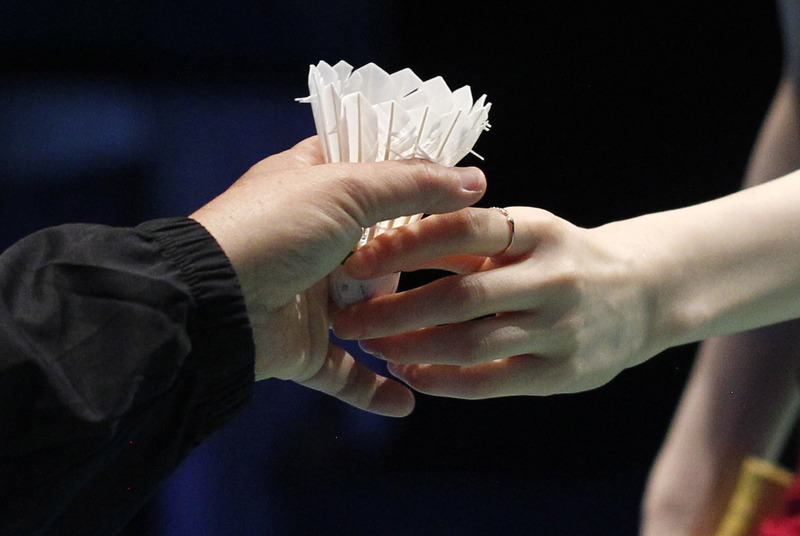 In an astonishing year in the Para-Badminton arena, English athletes won a staggering 14 medals, including four gold and three silver at the World Championships in November, positioning GB as strong contenders to compete for medals in 2020. “We were understandably very disappointed by the decisions taken by UK Sport 12 months ago. But we re-grouped and came back stronger, determined to continue to support the Performance Programme to the best we could and achieve what we always said was likely. “I cannot praise the whole team highly enough; the resilience has been remarkable. “We have just seen one of the most successful medal-winning years in the recent history of the sport. We have champions of Europe, Olympic and World medallists and a pathway of talent winning junior titles – as we look to Tokyo and beyond, we are in great shape. “So, today’s news is welcome and we understand the new funding stream is somewhat experimental but it presents us with an opportunity to compliment the programme and to invest some additional resource into our medal aspirations in Tokyo. “The investment into the Para-badminton programme is amazing news for the players and coaches specifically who have achieved many outstanding results for several years now and for Para sport more generally. This investment is transformational for Para-badminton and provides the support necessary to enable our players to now be fully focused on achieving their hopes and dreams in Tokyo. Badminton England is delighted to unveil leading Leisure Operator Places for People as the first ever ‘Official Leisure Partner’ in a groundbreaking move for the sport. The partnership, running from May 2017, will significantly enhance the badminton experience and court time delivery for visitors enjoying 120 Places for People leisure facilities across England. It will see clubs, players, families and tournament organisers benefit from improved and exclusive court booking terms and priority access to facilities. Best practise will be shared by way of improved access to value added membership services and benefits. A joint funded Badminton Development Manager – the first of its kind – will be appointed to work across Places for People facilities with a national remit to drive even greater levels of grass roots badminton within local communities. Alongside the benefits that will be felt by clubs and tournament organisers, Badminton England initiatives, such as the ever popular No Strings Badminton and the exciting new Racket Pack programme for under 11s, will carry heightened importance in Places for People’s timetable. 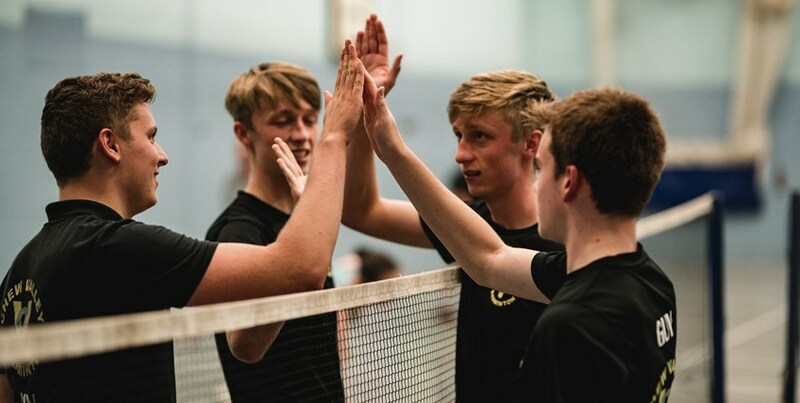 The partnership is a key milestone in Discover Badminton – Badminton England’s new eight-year strategy to reinforce the grassroots of the sport whilst opening new, high quality opportunities to play the nation’s favourite racket sport. The agreement also sees Wycombe Leisure Centre – one of Places for People’s flagship facilities – host the 2017 English National Badminton Championships this coming September. Adrian Christy, Chief Executive for Badminton England, said: “Supporting the growth of the grass roots of our sport is fundamental to our new strategy and the partnership with Places for People is a significant move for English badminton; for clubs, players and members of both organisations. “Working more closely with key national leisure operators is so important to our future growth and success and Places for People are the first of several partnerships we will be announcing. 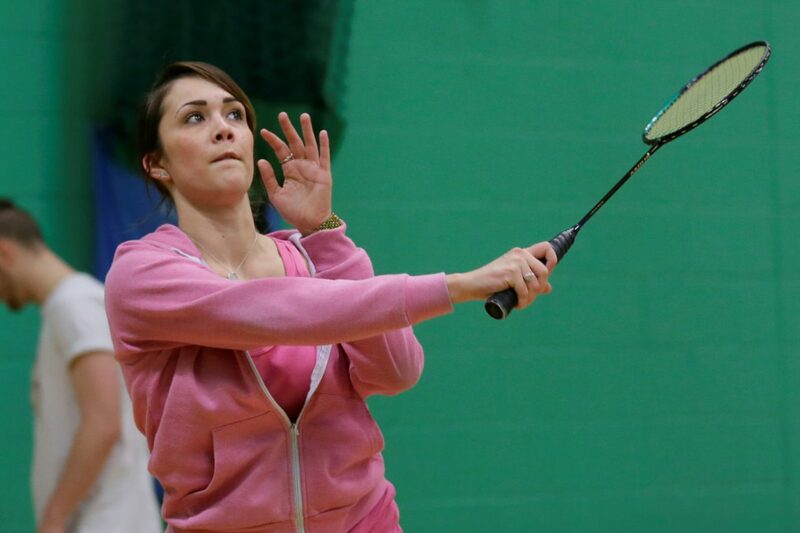 “Almost one million adults play badminton monthly across England and we want to firmly establish it as the nation’s favourite racket sport – to do this, making badminton even more accessible is pivotal. Sandra Dodd, Chief Executive at Places for People Leisure said: “Our mission at Places for People is to ‘create active places and healthy people’ and our appointment as the first ever Official Leisure Partner to Badminton England absolutely reinforces this. “We continually invest time and effort into programmes that are designed to engage local communities and maximise the opportunities to play badminton. England badminton stars Rajiv Ouseph and Chris and Gabby Adcock have been crowned 2017 European Champions in men’s singles and mixed doubles respectively today as a nine year wait for a title came to a sensational end. England have consistently medaled at the Europeans in recent years yet were without a gold since 2008. But today, playing against Danish opposition in front of a Danish crowd, England rewrote a small slice of history by winning double gold – a feat that has not been achieved for 29 years. 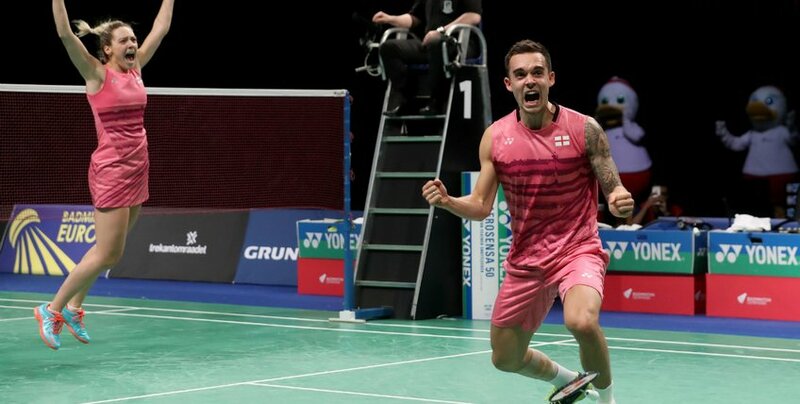 Ouseph won in straight games, downing Danish fifth seed Anders Antonsen 21-19 21-19 in just their second competitive meeting between the pair, while the Adcocks beat top seeds Joachim Fischer Nielsen and Christinna Pedersen 21-17 18-21 21-19 in a 78-minute epic. For Rajiv Ouseph, his men’s singles gold – the first for England since Steve Baddeley in 1990 – marks the start of a big week in which he will also get married to former GB Badminton star Kate Robertshaw. It was also second time lucky for England’s number one, having been runner up three years ago and today’s gold – his fourth from a career at the European Championships – completes a set that also includes silver and two bronze. Ouseph impressed throughout Sunday’s 48-minute final, showing resilience against an opponent who had already dispatched Rio 2016 Olympic bronze medallist Viktor Axelsen to reach the final. The win for Ouseph came from two hard-fought games, with the Englishman taking a 7-3 lead before Antonsen hit back to take a 12-9 advantage. Ouseph rallied though and, despite letting an 18-15 lead slip, the 30-year-old sealed it 21-19 to take an all-important opener. Antonsen had looked set to level matters in the second, with the Dane accelerating from 4-4 to establish a 15-10 lead. But Ouseph was not giving up his advantage lightly and hit back with a run of six consecutive points. And from 16-15 up Ouseph did not let his lead slip, going on to take it 21-19 and get his hands on the coveted gold medal. The day got better for England, too, with Chris Adcock picking up the fourth European Championships medal of his career, following three bronzes in 2012 and 2014. For Gabby the gold was a first individual medal at this level and the gold came after a battle, with the first and second seeds fighting it out over three tight games – with the lower ranked English duo eventually prevailing. The leading English pair got off to a fine start, powering ahead from 9-9 to take the opener 21-17. But it was the reverse story in the second, with the world number five pairing taking it 21-18 – having once again been locked together at 9-9. The final game of the 2017 Championships then proved to be one packed with tension. The Danes looked to have brought momentum from the second game into the third and took an early 4-0 lead, but five points in a row gave the Adcocks the advantage – only for the Danes to go back ahead 11-9. That sparked the Adcocks into another gear, though, establishing a four-point margin at 15-11 and 18-14, before seeing the Danes close to within one point at 18-17. But the Adcocks stood firm and eventually closed out the decider 21-19 to emulate the mixed doubles gold medal success of Anthony Clark and Donna Kellogg in 2008.